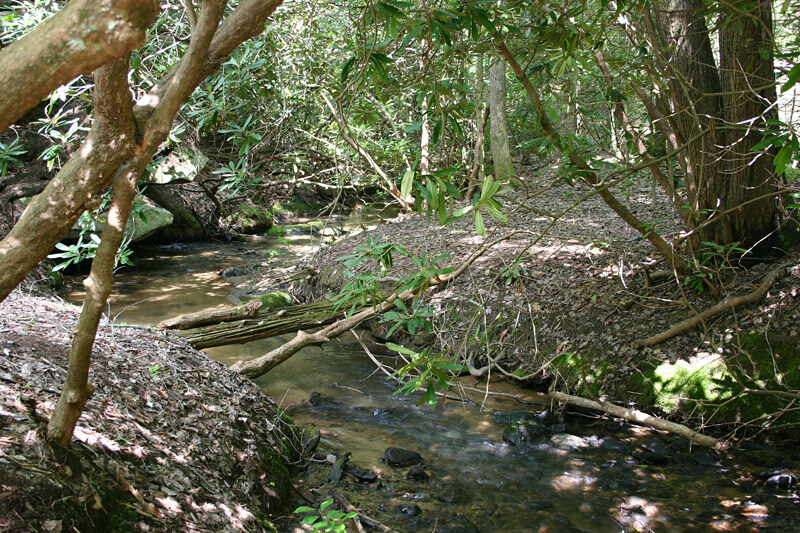 The Winding Creek Master Plan consists of 237 acres of rolling land with beautiful, wooded creeks and stands of trees. It is located in the City of McKinney, Texas, between the Master Planned communities of Eldorado and Stonebridge Ranch. The development was completed in eight phases. Winding Creek has been meticulously designed to offer homeowners a wide selection of lifestyle choices. Each of the eight neighborhoods within Winding Creek has its own distinctive characteristics, yet all share a common commitment to high-quality architectural design and lasting value. The West Mckinney area is emerging as one of the best places to live, work and play due to the central location and thriving economy leaving hundreds retired adults looking to purchase Winding Creek Homes for Sale. Winding Creek Homes for Sale includes eight villages and 600 lots. The Villages are: The Bluffs of Winding Creek, Brookside at Winding Creek, Clifton Park, Flagstone, Hillside at Winding Creek, Pecan Point, Silver Oak Estates and Spring Lake Estates. With so many unique floor plans and home styles its easy to see why so many people are flocking to the community. Exciting neighborhoods are coming online, and with an endless variety home design options and price points from some of the area’s top home builders, there’s plenty of Winding Creek Homes for Sale from which to choose. Winding Creek is primarily new, single family homes and is perfect for the first time homebuyer or a family looking to move up in size. Information about Winding Creek Homes for Sale and Winding Creek Real Estate can be found by browsing the properties below or calling our office at 972-899-1953. Stop by, browse listings below or call Renee Mears Realtors for a list of currently available homes in Winding Creek. 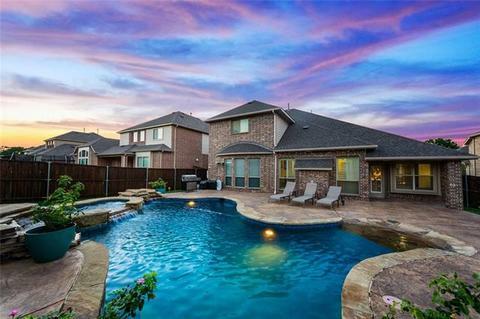 When looking to buy a home in Winding Creek or sell a home in Winding Creek it is always best to use an experienced Winding Creek, Mckinney Realtor. If you are interested in Winding Creek Homes for Sale call Renee Mears at 972-489-0828. Warm & charming with lots of character! This home has many features, from the stone accent and swing-entry garage with cedar door to the gorgeous, park-like backyard. Inviting 2 story entry with formal living & dining, study & spacious family room which all have real hardwood floors. The large kitchen opens to the family room & is dressed up with knotty alder cabinets, granite counters, a window seat & a center island. Huge private master bedroom with bay window, vaulted ceiling, large bath & enormous closet. 3 beds & large game room upstairs are split with one having a jack n jill bath & the other a dedicated bath. Serene backyard has beautiful patio cover & landscaping. Great local, easy drive to 75 & 121. European inspired former parade of homes model! Media room on 1st floor!Master plus 1 bedroom on 1st floor! Elevator! Impressive Wine Grotto! 20x18 Lanai with exterior fireplace & Auto Phantom Screen!Library sores to the second floor! 6 bedrooms, 6th bedroom makes great exercise room! Covered Patio on 2nd floor with fireplace!Grand kitchen with dual dishwashers, warming drawer & much more!Impressive master suite with adjoining serving coffee bar! Stunning custom home in sought after Clifton Park is literally nestled in the woods! .40 acre heavily treed creek lot views are so peaceful as seen from upper & lower patios. Outdoor gas fireplace, built in grill & plenty of rm for play! Traditional stately home is loaded w upgrades & boasts plantation shutters, extensive hand scraped hardwoods, 5294 sf, 5 bdrms (2 bdrm suites down), 4.1 bath, exec study w coffered ceiling, huge gm room, media, formal din, versatile flex rm could be another bdrm or study! Open concept living; kitchen is a chef's dream w lrg island, ss appl, gas cooktop, knotty alder cab, detailed millwork & bright breakfast rm. Dual staircase, lrg laundry & mud room. Walk to park & Elem School! BEST house in the neighborhood can be yours today! Incredible Ashton Woods with engineered woods through most of first level, & highest quality d xE9;cor. Entertaining dream Kitchen, Family and Dining area will hold huge gatherings. Secluded Master Suite has inviting bath and huge closet. Study with French doors and great front views. Four bedrooms up are split with spacious living area between. The TLC given to this beautiful home is apparent in every corner. Be sure to see the whole private back yard that offers room for play or future pool! Lush landscape surrounds this home and great area for storing trash bins too. Tandem garage offers space for storage or workshop. Come & see today! GORGEOUS & like new in the desirable neighborhood of Flagstone. Home features open floor plan, hand scrapped hardwood floors, art niches, crown moldings, plantation shutters, soaring dome ceiling in entry, wrought iron balusters, Gourmet kitchen with granite c-tops, double ovens, Induction cook-top (plumbed for gas), SS appliances, walk-in pantry, & butlers pantry. Large family room with soaring ceilings, stone fireplace with a custom mantle & motorized blinds. Study has walk-in closet & wainscoting. Master bath features jetted tub, granite c-tops, separate vanities, makeup seating, & large shower. Media room with wet bar. Utility room has upper & lower cabinets with a sink. 3 car garage, extended parking pad. Pristine Ashton Woods home in great neighborhood. Open floor plan w wrought iron front door & dead bolts on all exterior doors. One BR used as a study has window seat w cushion, pillows & Roman shade. New roof & 50 gal WH in 2017. 18x18 inch tile thru-out whole house. Family room has BI entertainment center & shelves. Light bright kitchen features granite counters,breakfast bar island,Kitchen Aid stainless appls,under-cab lighting,WI pantry & butler's pantry into dining room. Master suite has bay window sitting area, granite, framed mirrors, shower with seat, med cabinets, linen closet, 2 vanities & WI closet.C-fans, neutral colors, security & sprinklers systems, storage closet w cabinets & covered patio w fan. Only 5 years NEW, this stunning custom home in desirable Flagstone Community of McKinney will wow you with it's charm! Energy efficient w upgrades galore, includ hand scraped wood flooring on most of 1st level! Love to entertain? Cook? Kitchen w knotty alder 42 in cabinetry, granite, SS appl, double oven & amazing island! True open concept living w a FTC stone fireplace that is both dramatic & cozy. Handsome study, versatile dining rm (currently used for seller's home clothing business), spa-like master suite down. Upstairs find lrg game rm, media rm (media equip stays), 3 bdrm, 2 bath; 2 bdrm suites down. Backyard features cov patio(grass to be sodded early April). Walk to exemplary Walker Elem School & parks! Beautiful corner lot 2-story home featuring 4BR, 3.5BA plus a game room. Entry opens with real hardwood floors, an office with French doors and plantation shutters. The living room showcases vaulted ceilings, fireplace, built-in entertainment center and opens to the kitchen with granite counters, gas cooktop, and breakfast bar. Master bedroom is conveniently located downstairs with a large master bath with a walk-in shower. Secondary bedrooms plus game room are upstairs and provide ample space. Come view this home today!